Christmas Box, Sweet Box. 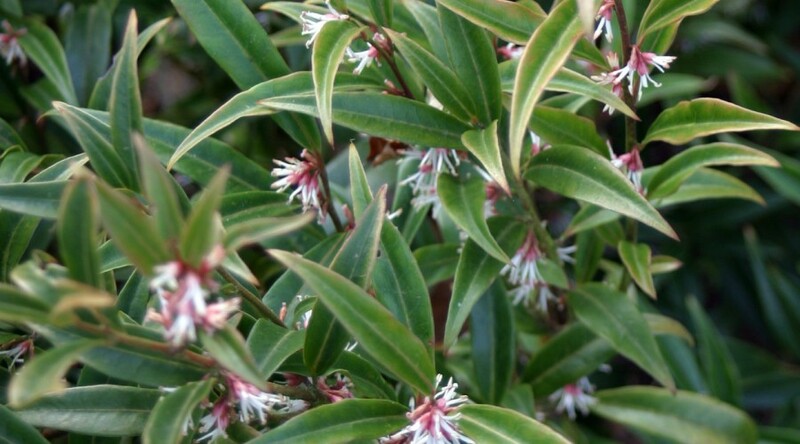 A compact suckering shrub with narrow, glossy dark green leaves. Clusters of fragrant white flowers in winter followed by black or blue-black fruit. Height 1.5m. Spread 2m. Flower colour White. Flowers from January to February. Fruit colour Black, Blue. Fruits from March Evergreen.